Do You Know Your Why or How to Find Your Why? Consider this a continuation from the past two #HealthTips…Commitment, Part III. First, I asked what you were committed to? Part II was moving beyond stating it and actually putting it into action, and taking it a step further and REALLY doing the work – all of it. Next (and perhaps finally?!?!) is finding your why behind the commitment.Many would argue with me that finding (and knowing!) your why should come BEFORE, and should actually be Part I. Maybe? I mean, clearly, it helps you to gain clarity and gives you the passion to do the work. However, I think it has a place here too. What does that even mean…Find Your Why? It is the purpose behind your commitment that is driving you to want what you want. What is behind you wanting to lose 10 pounds? What is moving you to be more soulful? What is inspiring you to pursue a new career path? What is your desire for expanding your family? What is the why behind the drive/goal/desire? That “why” is so strong and so powerful!!! 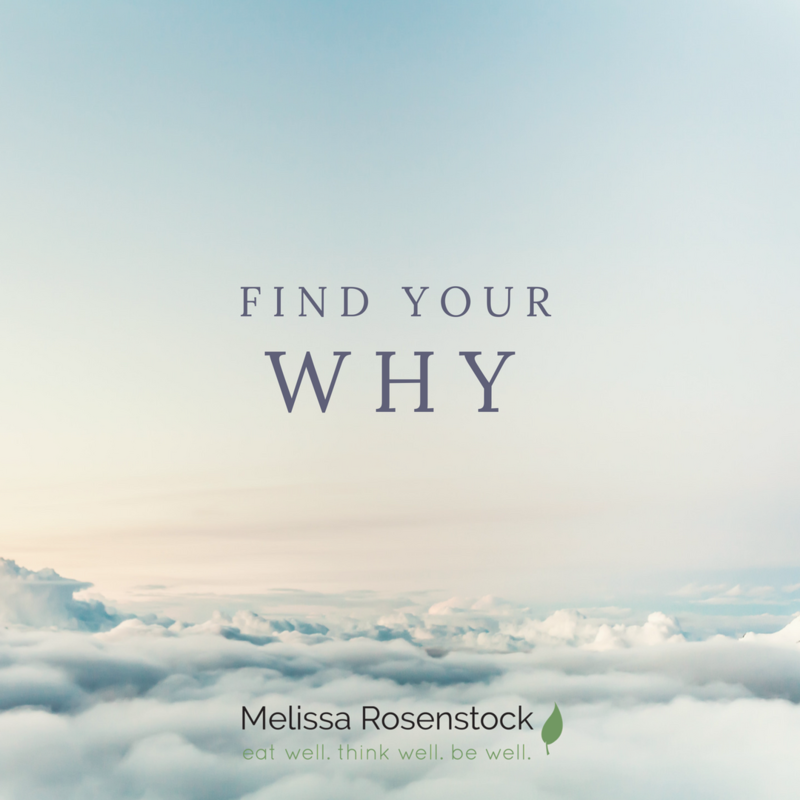 It solidifies Part I and Part II, and it becomes so clear what your goals are there is no question of what you are committed to and you are fired up to do the work – all of it, because your why is propelling you forward. You don’t have to push, because you are being pulled. While I do believe you can find your why on your own, I also believe it takes an outside source (be it a friend, coach, mentor, etc.) to help to hone in on finding your why and to get crystal clear on how to take the best action to get you to that weight loss, transition to a new career, awaken your spirituality, and to create a life you love…and to do so in less time than spending years trying to figure it out on your own.